This small colonial hydroid belongs to Class Hydrozoa. Colonies grow to 1 cm tall, usually on pieces of surf grass (Phyllospadix spp., e.g. P. scouleri), which colonies cover to form a furry elongated structure as seen above. 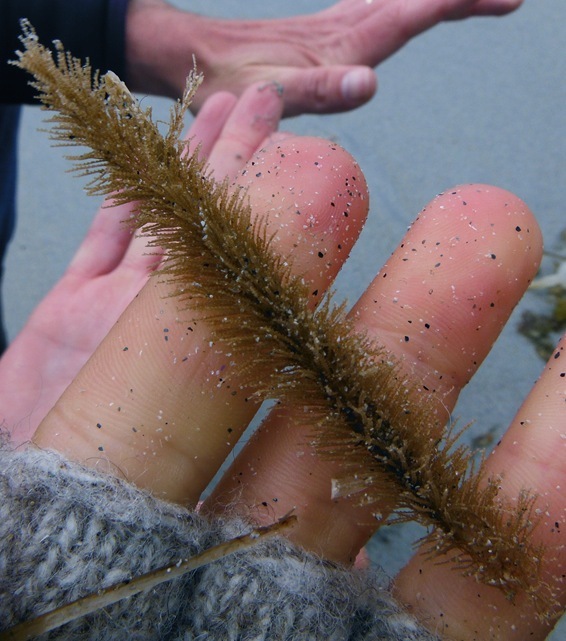 Surfgrass hydroid is abundant where surf grass is found - on exposed outer coastlines. Its recorded range is from British Columbia to southern California. Check SeaLifeBase for further taxonomic information on this species.